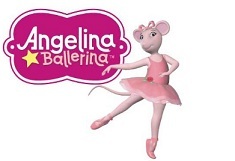 Are you ready dear kids to try a new and fun game with the sweet Angelina Ballerina? 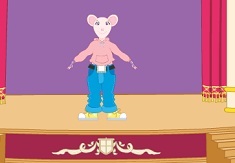 We hope you do cause we think the games with her are realy enjoyable and that is why we thought to offer you a new game with her in which you have the chance to get to know her better, to play with her and to have fun with a new and interesting character, a girl mouse who is a ballerina and who is even very talented.She is a very sweet little mouse and she is excited to play with you over and over again here on the site, so we hope you are curious to try the games. 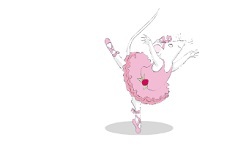 This is a new puzzle game with her, because Angelina Ballerina realy likes puzzles, you will get a very nice picture with her and we trust you can make it whole, contruct it with the help of the puzzle pieces. Good luck!